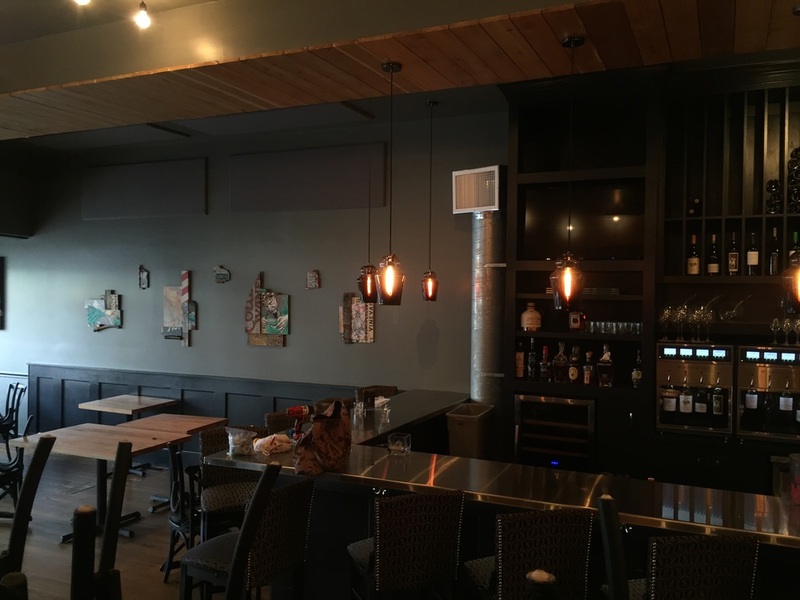 i was very honored to have been commissioned to create a body of paintings for the front wall of louvino, a new wine bar and restaurant in louisville, KY (you can see the empty wall in the picture on their website). i created a series called WINEMAKERS, based on seven different wine regions around the world. california (napa/sonoma), washington, new york (finger lakes), italy, spain, france and argentina are all represented. we drove the work down last week and helped set it up in the space - i am very pleased with how it came together and we really enjoyed the restaurant and the city. if you ever find yourself down that way, you should definitely stop in for some delicious tapas.